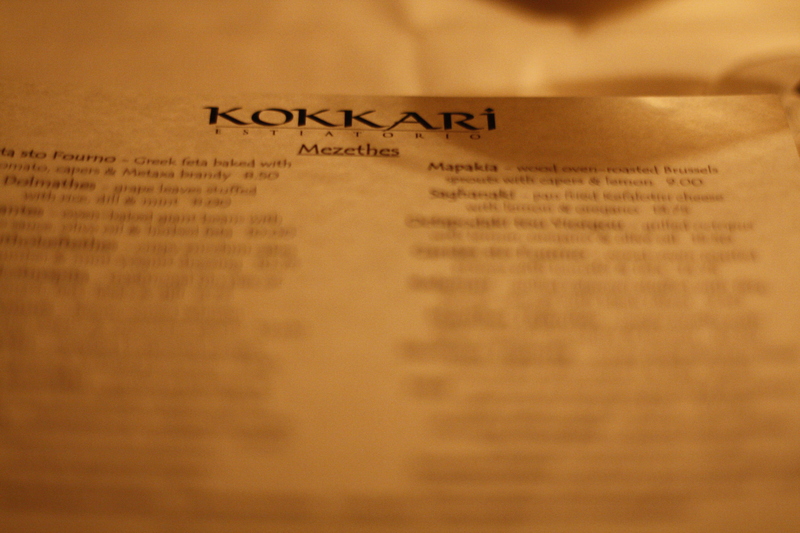 Kokkari has been on our radar screen for some time now, known as the perfect place for a date night and we finally got reservations to the Greek/Mediterranean restaurant. The restaurant is expansive and we loved the open rotisserie. 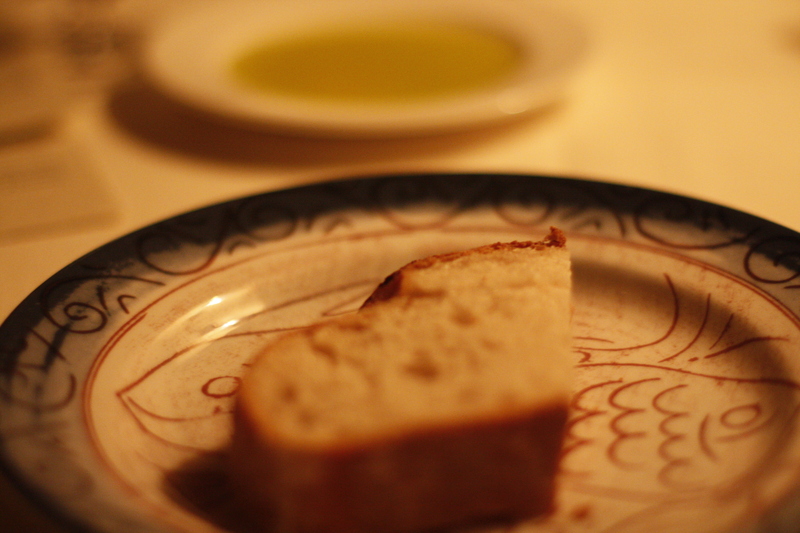 We started with the complimentary bread and olive oil while we decided on mezethes and our entrees. 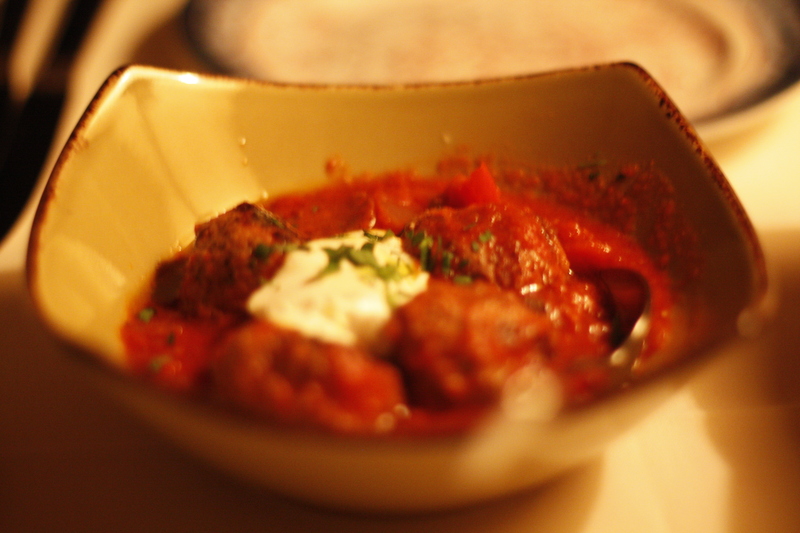 Per our server’s suggestion, we had to get the grilled lamb meatballs in spiced tomato sauce & Greek yogurt for $11.50 and we were thrilled we did. The nuggets of tender lamb swam in a pool of tangy and tasty tomato sauce. I could have a whole pot of these meatballs. 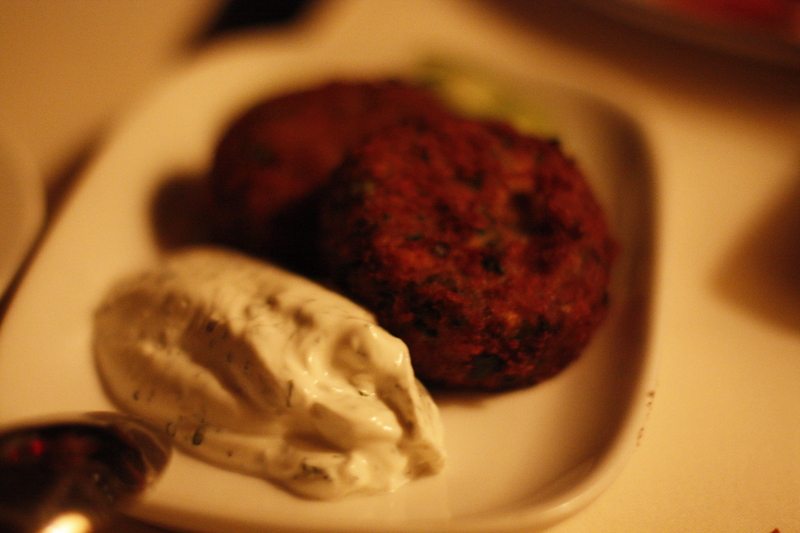 The Zucchini Cakes with cucumber & mint yogurt dressing for $10.50 we really tasty. We loved the pickled cucumber with the cakes which went well with the delicious zucchini cakes. The tangy and refreshing mint dressing cut the fried fritter. We decided on the lamb souvlaki was super tender and served with a wedge of potatoes. 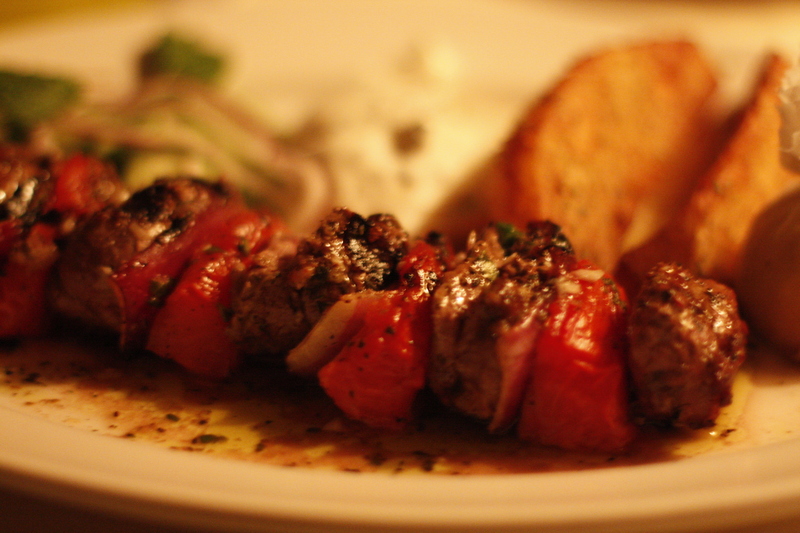 The marinated lamb skewered with sweet tomato, lightly charred onion, lay leaf with creamy tzatziki was just so delicious for $20. 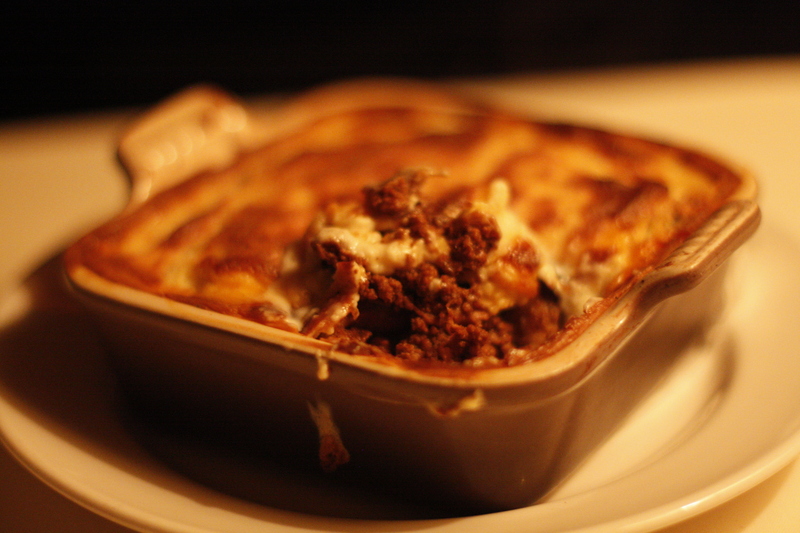 The Moussaka was very rich, the meat filling flavorful and was a piping hot casserole of spiced lamb, eggplant, potato & yogurt bechamel for $21. 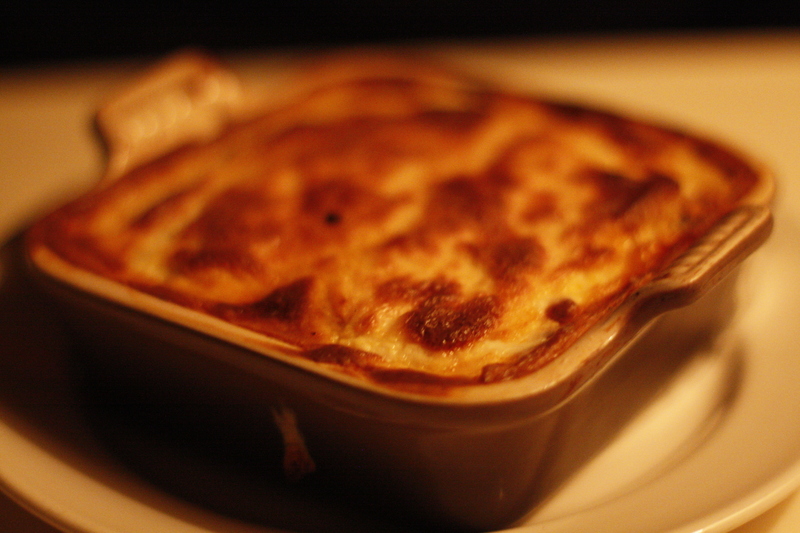 We absolutely loved the lamb flavor and the crust of creamy bechamel. Our dishes were all delicious and filling. The only aspect that was noticeable was how busy we were and as a result our server seemed non-existent. We definitely got water refilled and the food came out piping hot, but we didn’t feel well cared for. Oh my, that looks absolutely delicious!